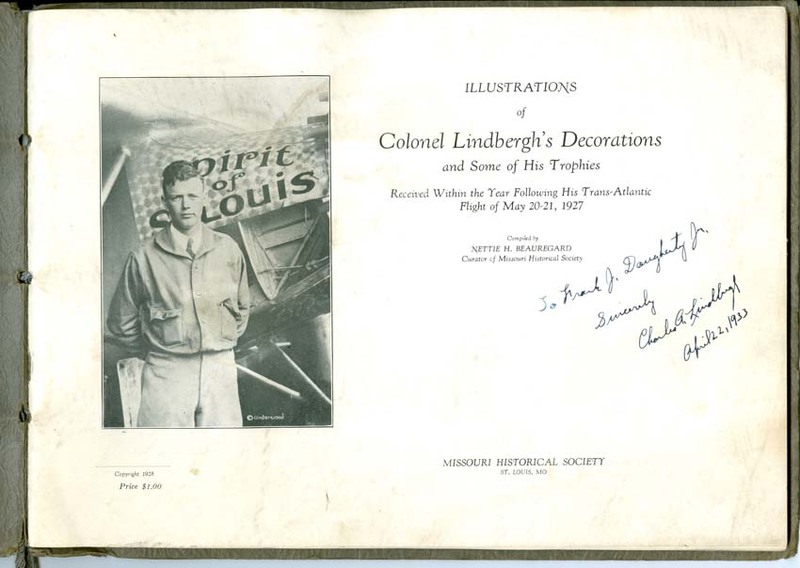 Tag Archives: Charles A. Lindbergh Rare Signed Book! Charles A. Lindbergh Rare Signed Book! 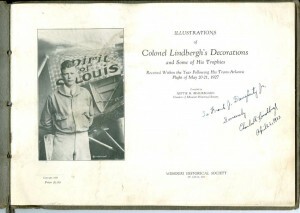 ILLUSTRATIONS OF COLONEL LINDBERGH’S DECORATIONS and Some of His Trophies Received Within the Year Following His Trans-Atlantic Flight of May 20-22, 1927. Buy Kamagra Online style=”font-family: Consolas; font-size: small;”>Photos include title page portrait of Lindbergh, oblong 8 x 11, printed tied wraps with oval cut-out on cover, 52 pages unpaged, first year of publication. 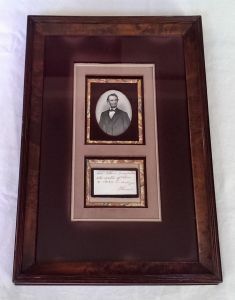 Compiled by Nettie H. Beauregard, Curator of Missouri Historical Society. Beautifully inscribed, “To Frank J. Daugherty Jr.